Do you have any news, reviews, articles, vacancies or training opportunities to share in the September newsletter? Did you know that the Society for Cryobiology is on Facebook and Twitter? Click the links below to follow us and see our latest updates! The editorial office would also welcome photographs from CRYO2013 for the September newsletter so make sure you take your cameras to Bethesda in July and get snapping! 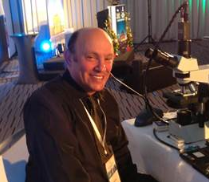 a) The 3rd annual meeting on “Controversies in Cryopreservation” was held March 21-23 in Berlin, Germany. 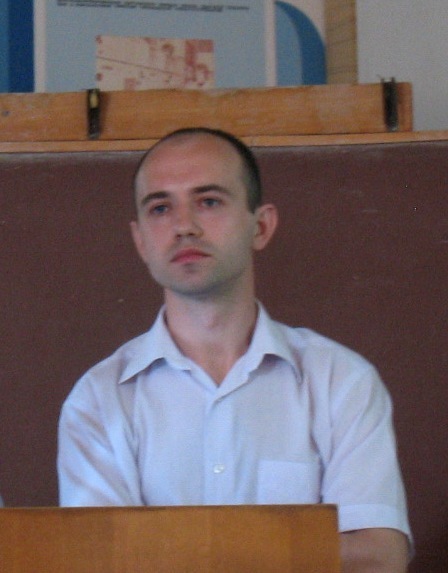 A principal organizer of the meeting was Amir Arav, shown here on stage doing a remarkable demonstration of survival of red blood cells following freeze-drying with trehalose. b) The 50th annual meeting of the SFC (July 28-31, Marriott Hotel, Bethesda, MD) is shaping up well. With the large number of biotech companies, independent research facilities, universities, and government research institutes in the Washington, DC, area, the Organizing Committee feels that the CRYO2013 annual meeting could be of interest to a large population of local and regional scientists and this could translate into a highly successful meeting. See http://www.societyforcryobiology.org/cryo-2013 for details. Note that the deadline for submitting abstracts has passed and that the program has been finalized. The Hilton Key Largo Resort, venue for the annual meeting of the American College of Cryosurgery 2014, above. c) The annual meeting of the American College of Cryosurgery will be held January 15-19, 2014, in Key Largo, Florida. The SFC served as co-sponsors of the highly successful 2013 meeting, held aboard a cruise ship out of Miami in January, 2013, and we may participate again, a subject that will be discussed by the Board of Governors in Bethesda. 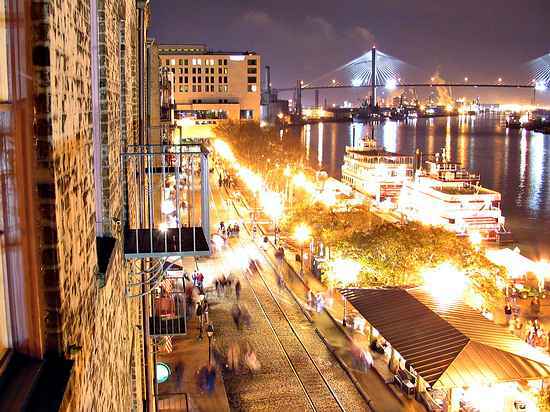 d) The 2014 SFC meeting will be a joint meeting with the Society for In Vitro Biology (May 29-June 4, 2014, Hyatt Regency Hotel, Savannah, GA). Jason Acker, the Program Chair for the SFC worked tirelessly to arrange this meeting, for which we are grateful. Details of what is being planned will be made public as the time gets closer. The organizers are meeting this summer to finalize topics for the meeting. If you would like to make a suggestion, send it along to Jason ([email protected]). a) Support for the newsletter and website were taken over some months ago by David Rawson’s office, with Christie Roman providing the hands-on support, initially. She did a superb job, but she has now moved on to another position at the University of Bedfordshire. Her replacement is Nicole Evans, a New Zealander, now living in England. Nicole will be attending the meeting in Bethesda. Be sure to introduce yourself; she is doing a fine job so far (she’s been on the job for a very short time), and she will be an increasingly central person in the SFC’s activities. 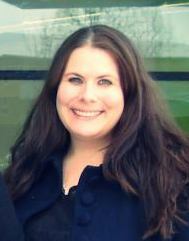 We welcome new Editorial Assistant, Nicole Evans, pictured left. b) The contract with Portland for other administrative support will be terminated July 1, 2013, by mutual agreement. After some discussion among the Executive Committee, we approached David Rawson about taking on these additional duties, and it is working well. We have, for the first time in a long while, have the support functions collected in a single office. That will provide much needed stability and make possible day to day oversight that has been lacking with our former arrangements. We are grateful to David and the editorial staff for taking this on, particularly, Nicole Evans, who will be carrying a large fraction of the load. CRYO2013 promises to be a truly outstanding meeting on many levels. For the latest information please consult the CRYO2013 website, http://www.CRYO2013.org. The hotel reservation link is open for you to take advantage of the discounted rates at the conference venue hotel. Please note that the Bethesda North Marriot has confirmed to us that the discounted rate for conference delegates may not be available after June 29th so if you would like to take advantage of the special rate please book before this date. The registration form is still available, if you have not yet registered, and should be returned to Dr Eric James, whose contact details are on the form. International Young Cryobiology Researchers' Scavenger Hunt! 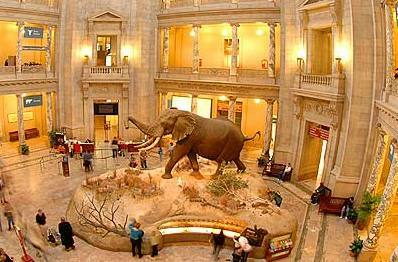 Join the ICYR members on a scavenger hunt through the Smithsonian National Museum of Natural History! Enjoy the company of your fellow Cryobiologists while discovering the secrets of the museum and tackling witty, tricky questions. The event will take place from 2pm - 4pm Tuesday, July 30th, during the free afternoon of the conference. It is open to both young and young at heart cryobiologists (i.e. there are no age restrictions!). Inside the Smithsonian National Museum of Natural History, pictured right. real murder mystery and much more. On a whirlwind tour, you’ll travel to China, Africa, South America, the Ice Age, ancient oceans, and beyond. The questions are designed so that you can find the answer only when you are in the right spot and looking and the right thing (Sorry, Googlers!). You don’t need any previous knowledge to triumph—you just need good teamwork and comfortable shoes! Admittance to the scavenger hunt is $20, which will be collected at the Annual Meeting. Transportation will be provided to and from the event. Please RSVP by July 12th to Allyson Fry Davidson at [email protected]. The International Institute of Refrigeration Workshop on Cryoprocessing of Biopharmaceuticals and Biomaterials, is to be held 4th and 5th September 2013 in Dresden, Germany. The Society for Low Temperature Biology (SLTB) 2013 Annual General Meeting and Scientific Conference will take place 6th – 9th October in Hannover Germany, organised and hosted by The Institute of Multiphase Processes at Leibniz University, Hannover. The SLTB was founded in 1964 with the purpose of promoting research into the effects of low temperatures on all types of organisms and their constituent cells, tissues and organs. The Society holds at least one main meeting each year. The programme will include both a symposium on a topical subject and a session of free communications on any aspect of low temperature biology. Recent symposia have included long-term stability, preservation of aquatic organisms, cryopreservation of embryos and gametes, preservation of plants, low temperature microscopy, vitrification, freeze drying and tissue banking. The ESBB, was founded in August 2010 as a regional chapter of The International Society for Biological and Environmental Respositories (ISBER). This year marks ESBB’s third annual conference. The theme of this year’s conference is “Biobanking for the Future” and will offer a wide variety of interesting content from across the biobanking spectrum. Sessions include: Global Biobanking, Ancient DNA, Biobanking for Personalised Medicine, Biobanking for Conservation, Sustainability of Biobanks and the Financial Crisis, and Innovative Biobanking. Exciting new features this year include the interactive sessions in which audience participation will be facilitated by an electronic voting system. Topics for these interactive sessions include: “The Life in Data” and “Everything Your Wanted to Know About Collaborating With Industry … But Were Afraid To Ask” and “Harmony for Conservation”. This year also sees the first training course entitled “The Pathology of Biobanking” which will be presented by ESBB and the local organizers. 1st July – Closing date for abstracts and early registration. The Institute for Problems of Cryobiology and Cryomedicine of the National Academy of Sciences in Ukraine together with the UNESCO Chair in Cryobiology organize the annual Conference Cold in Biology and Medicine: Current problems in cryobiology, transplantology, and biotechnology. The aim of the conference is to encourage undergraduate and postgraduate students to share their research and give an overview of the activities of today’s young scientists to the academic community. The conference is devoted to the investigation of various aspects of low temperature effects on biologicals: low temperature storage of biologicals (human, animal or plant cells, tissues, and organs), including preparation for storage, thawing, cell and tissue culturing etc. ; response of biologicals to low temperature; cold adaptation of animals and plants; utilisation of low temperature in medicine; experimental and clinical transplantation; developing of cryobiological and cryomedical devices; and organisation and functioning of low temperature banks. Anna Trofimova: Hypothermic experiments in rats: electrocardiophysiological indices when cooling head and neck. Prize Winner, Vitaliy Mutsenko, pictured right. Thank-you to Vitaliy Mutsenko for this event report. 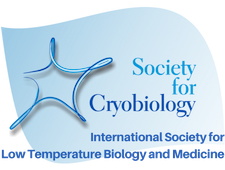 the Society for Cryobiology and endorsed by the International Institute of Refrigeration and the Cryogenic Society of America. Over one hundred participants representing eleven countries attended. The venue was unique in that there was an opening land-based session in Miami, Florida followed by a four days of sessions aboard a cruise ship with ports of call at Key West, Florida and Cozumel, Mexico. Technical sessions focused on both biopreservation and cryoablation with a strong emphasis on the linkages between the principles of these divergent fields. Six of the eight scientific sessions were organized and chaired by individuals holding dual membership in the Society for Cryobiology and the ACC. Plenary lectures we presented by Dr. Truls E. Bjerkland Johansen (Cryosurgical ablation of the prostate)(Norway), Dr. Kenneth B. Storey (Mammalian hibernation - clinical implications)(Canada), Dr. Michael Sabel (Cryo-immunology)(USA), Dr. John G. Baust (Advances in cryoablation)(USA) and Dr. Jim Vaught (NCI cancer specimen biorepositories)(USA). In addition Dr. John H. Crowe, President of the Society for Cryobiology, provided the President's Welcome. Next year's ACCryo2014 will be held between January 15th - 19th at the Hilton Key Largo Resort in Florida (http://www.cryoconference.com). This meeting will provide a balance between molecular approaches to understanding cellular responses to low temperature and clinical outcomes following translation of these fundamental principles for disease control. Members of the Society for Cryobiology are cordially invited to join with the ACC to advance our knowledge in areas of mutual interest. Abstracts of papers, presentations and posters presented at ACCryo 2013, held in Miami, USA January 2nd - 7th 2013.